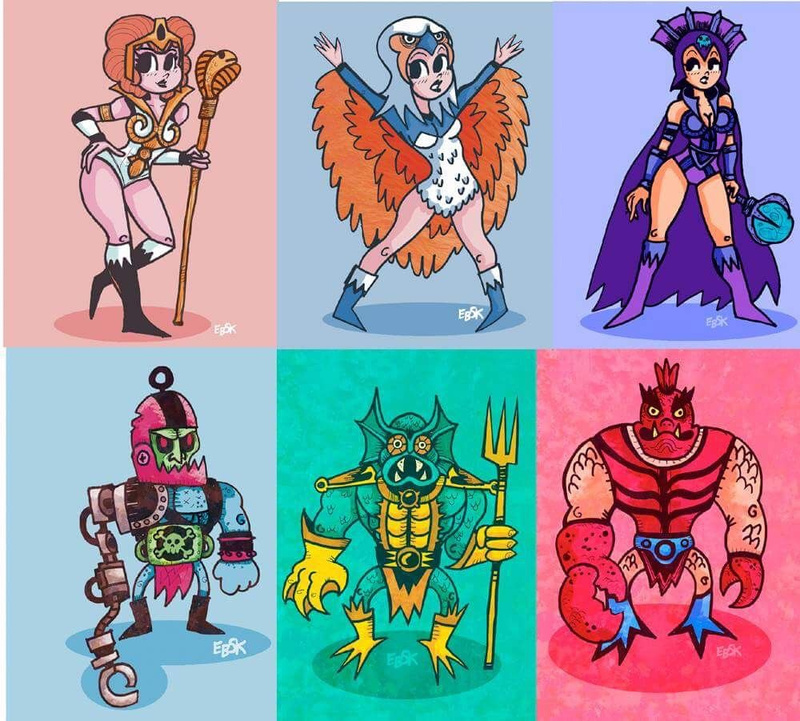 My He-Man tribute series so far. I plan to do 11x17 or 13x19 drawings then make prints of He-Man, She-Ra, Skeletor and Hordak. I’m not sure how many of the characters I‘ll end up doing in this series. Let me know if there are any characters you’d like to see! Friends of eb5k and more!